Our Life in Color contest winners designed with a host of hues. For the second year in a row, Texas Paint & Wallpaper has teamed with D Home for our annual Life in Color contest. In April, we put the design community on notice that we were on the hunt for smart, fun, cool—and most importantly, colorful—rooms. They delivered. Many of the city’s top designers showed off their ingenuity in a host of hues. We saw serene neutrals, lively limes, vivid violets, radiant yellows, and every color in between. The selection process was difficult—some colorful language was even employed—but in the end, five designers stand victorious. In addition to bragging rights, these champions of coloration win membership cards and additional perks from Texas Paint & Wallpaper, and you can see the fruits of their labor on these very pages. 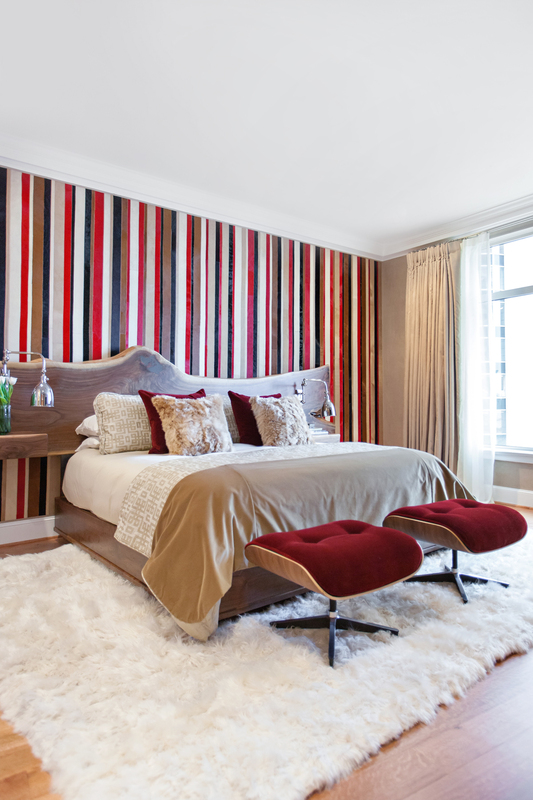 When Denise McGaha designed this space two years ago for the State Fair of Texas showhouse, she incorporated the trends happening in fashion at the time. 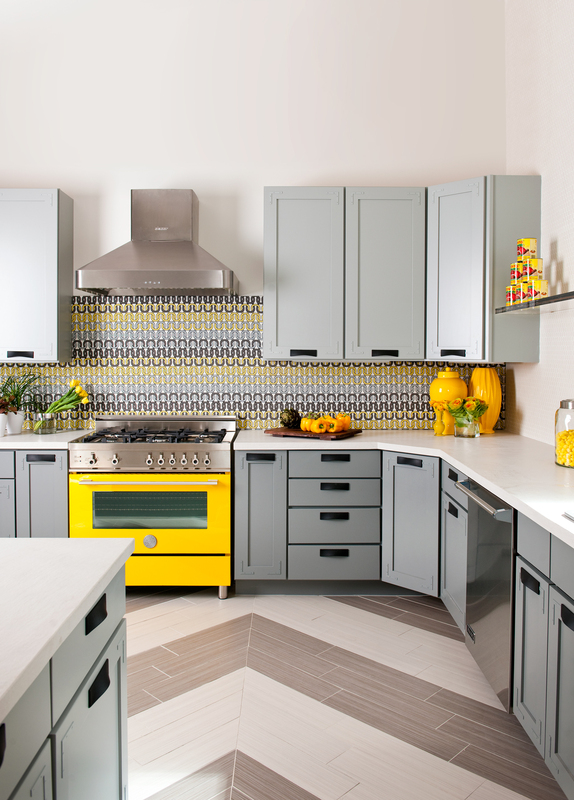 To that end, the backsplash is made of outdoor fabric by Trina Turk for Schumacher and covered with glass sheets crafted by Fashion Glass & Mirror. “The idea was that if you got tired of it, you could replace it with a different fabric,” she explains. Add elements such as black leather handles on the cabinets, gray campaign brackets, and a sunny Bertazzoni oven, and you’ve got a fashion-forward space. It’s worth noting that this room was built in a tent.